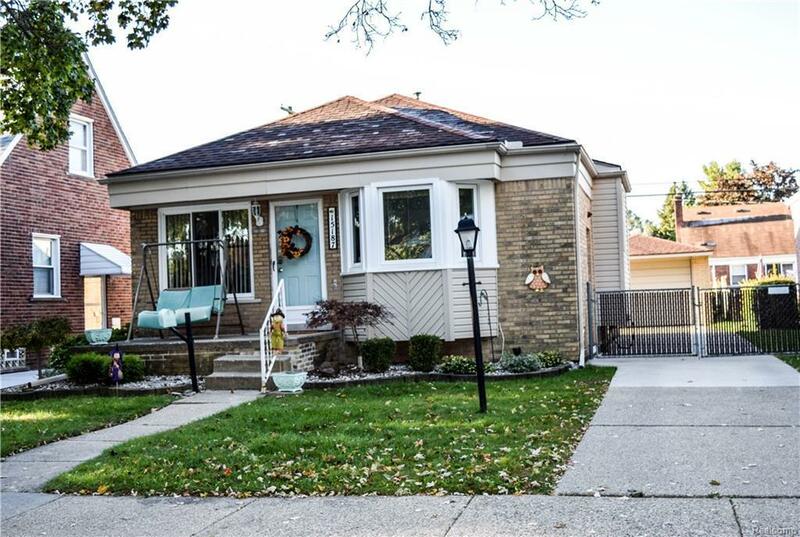 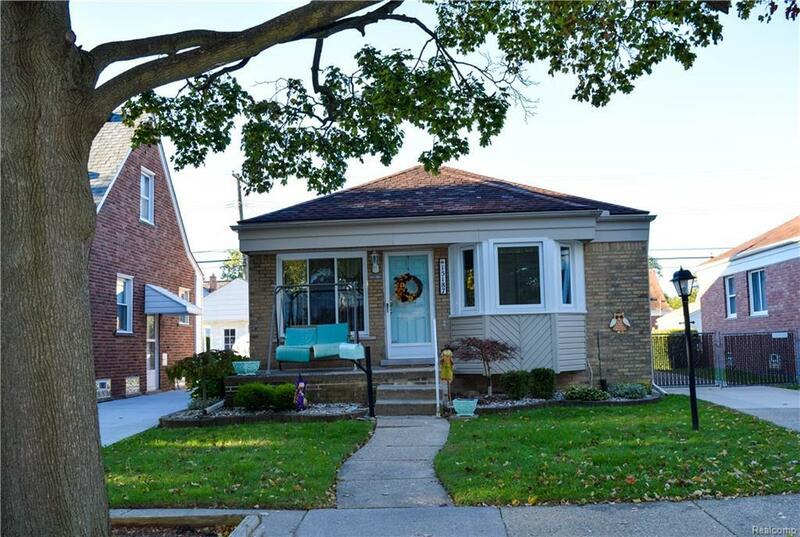 DON'T WAIT AND MISS THIS SUPER NEAT & CLEAN 3 BEDROOM BRICK RANCH HOME ON A QUIET DEAD-END STREET WITH LOTS OF UPDATES INCLUDING A NICELY REMODELED EXPANDED KITCHEN W/LOTS OF EXTRA OAK CABINETS & LOTS OF NEWER WINDOWS, NEWER DIMENSIONAL SHINGLES & BEAUTIFUL REAL HARDWOOD FLOORS THROUGHOUT THE MAIN FLOOR! 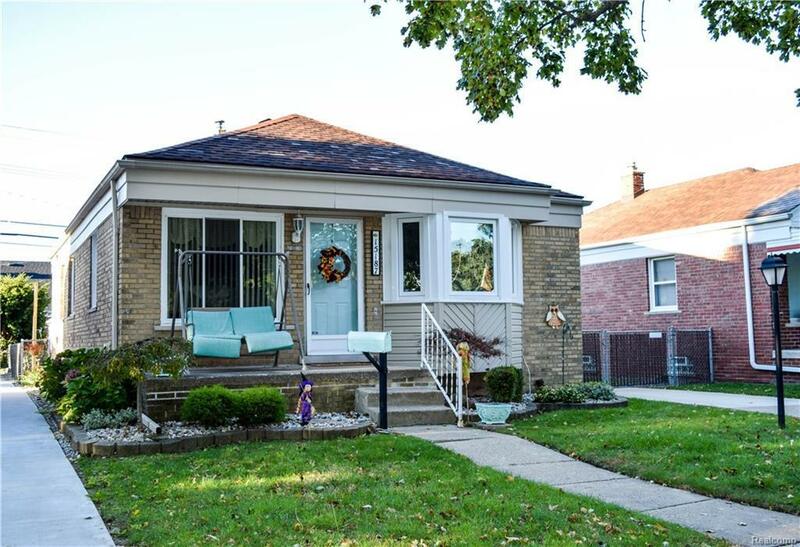 LOCATED IN A VERY DESIRABLE NEIGHBORHOOD WHICH IS CLOSE TO ALL MAJOR TRANSPORTATION ARTERIES INCLUDING BEING W/IN 15 MINUTES OF METRO AIRPORT & A FEW SHORT MINUTES TO SHOPPING & DINING AT THE HILL AS WELL AS ONLY A FEW MINUTES AWAY FROM THE HENRY FORD MUSEUM & THE HENRY FORD VILLAGE. 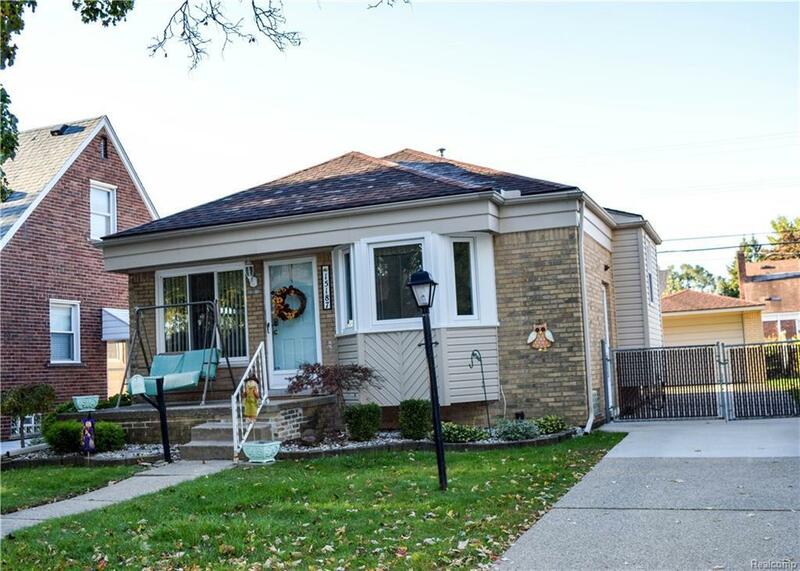 FEATURES INCLUDE: SPACIOUS LIVING ROOM & FORMAL DINING ROOM W/NEW INSULATED VINYL REPLACEMENT WINDOWS, LOTS OF GREAT CLOSET SPACE AS WELL AS STORAGE SPACE IN THE MOSTLY UNFIN BSMT, 1-1/2 CAR DET GAR, RECENTLY PAINTED IN TASTEFUL & NEUTRAL COLORS, CERAMIC TILE BATHROOM, BEAUTIFUL PATIO & GARDEN AREA, WATER -PROOFED BSMT!